← Student loan: any idea how long it will take you to repay it? There are many factors to take into consideration in order to decide what to study at university; interests, skills, entry requirements, salary expectations after graduation, etc. The most important of all though is that you study a subject that will help you land a job that you love doing. You will be spending most of your time at work. Many are expected to work much longer than 9am-5pm and they do! So, it is crucial that you get a job that not only pays the bills but also you love doing it. The big question of course is how do you find out what you love doing? What do you like doing when you have free time? Do you play football, read a novel or try to find out how the radio works? Is there a subject at school that you really enjoy? What are the things that you are naturally good at? Ask friends and family (those you trust and respect) what they think your natural skills are. Their perspective might be quite useful. 2. Find information about the various jobs. There is a lot available on the internet. You can find some useful websites on this blog under Resources. TIP: Don’t limit yourself to the experiences of your parents and their close friends. There are many exciting jobs out there worth exploring. 4. Summer jobs, internships can be also very useful. It may take some time to understand if you are like a job but it will only take you a couple of days to realize if you DON’T like it. Keep a journal of your findings (Yes, I know it’s boring but it’s necessary. After two weeks you will have forgotten everything. It’s 2 hours in my case!) and review them every month. You will see a pattern after a while. Invest time on your research. Remember it takes longer when you don’t know what you are looking for. 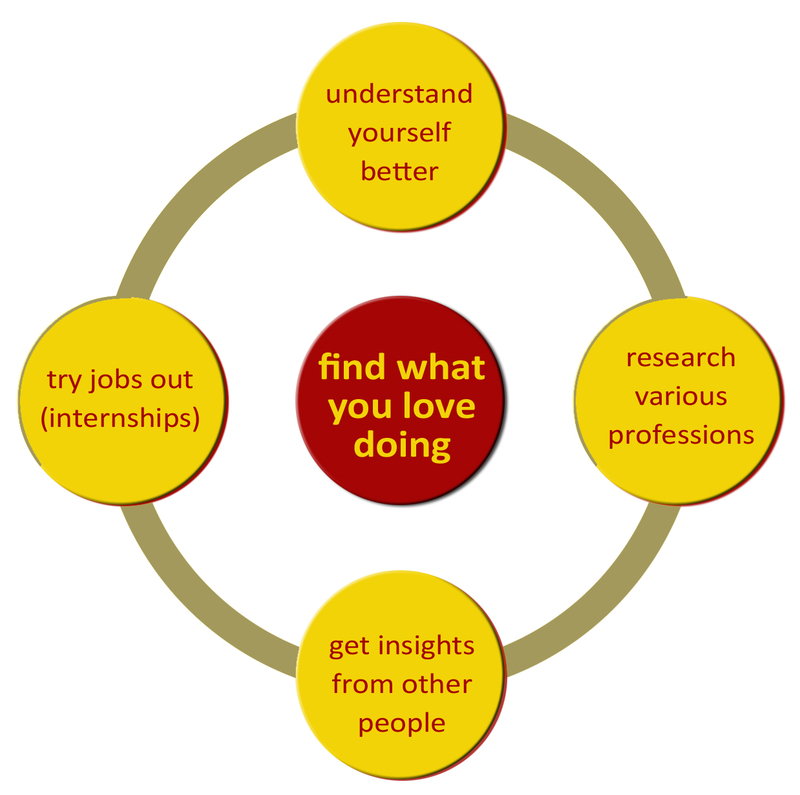 It’s worth though figuring out what you love doing and study the subject that will help you have a career in an area you are passionate about. This entry was posted in b4iapply to college, b4iapply to uni, Before I apply and tagged apply, how to find what you love doing, link education with career, understand yourself better, university, what to study. Bookmark the permalink.